I think I spend a lot of my time on the internet suffering and browsing through cool websites for either inspiration or pure entertainment. I came across this website and instantly wanted to share it. 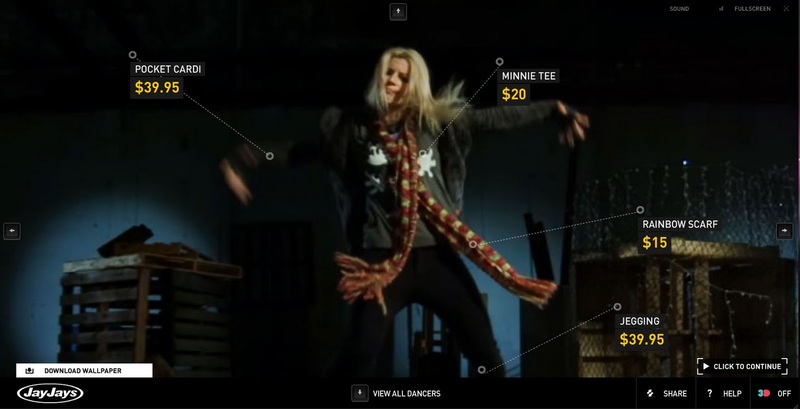 JayJays Dance Off is a website for their clothing store. The interaction you have with the website is amazing and the 3D affect is awesome. (So break out those 3D glasses) Even though it took awhile to load, once it was done I was truly impressed. If you're a dance feen like I am and love hip-hop, this is definitely for you!